Starting a new business requires a lot of time and energy. After deciding on what you are going to sell or what kind of service you are going to offer, you will need to come up with a business plan in order to see if your idea will work. Once you determine that your idea will work, and then you will have to jump through all of the governmental red tape, secure financing, and determine where your business will be located. Another decision that you will have to make is to determine how you are going to keep your books. When it comes to maintaining your company’s books you have three options: hire a CPA firm to do it, purchase bookkeeping software, or use a spreadsheet program such as Excel. The first option can be very expensive depending on how much time the CPA spends working on your financial results. The second option can range anywhere from inexpensive to hundreds of thousands of dollars. I would warn against using a spreadsheet program to keep track of your books unless you are an accountant and very good at using spreadsheets. For our small business, my wife and I decided to go with option two, purchasing software to keep track of our books because it is much simpler and it reduces the chance of making needless mistakes. 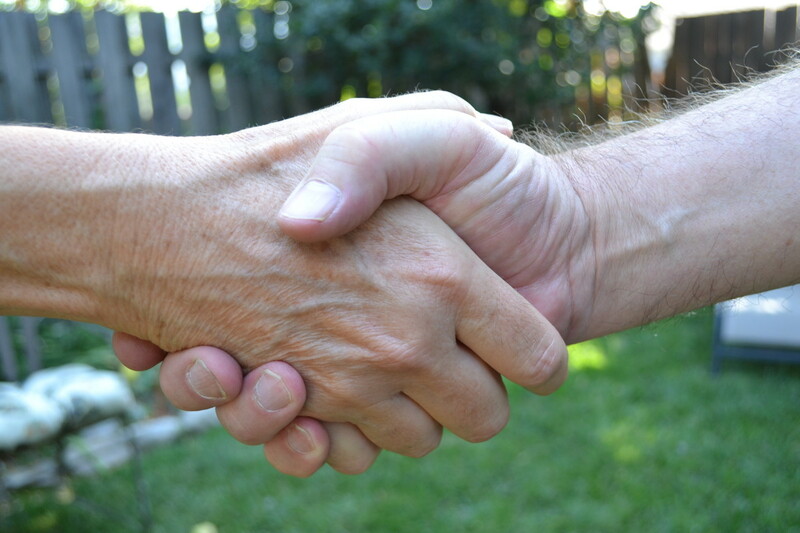 There are many different small business solutions to choose from to handle your bookkeeping. It is easy to fall in love with solutions that have all of the bells and whistles, but for most of them you are paying for functionality that you will never use. 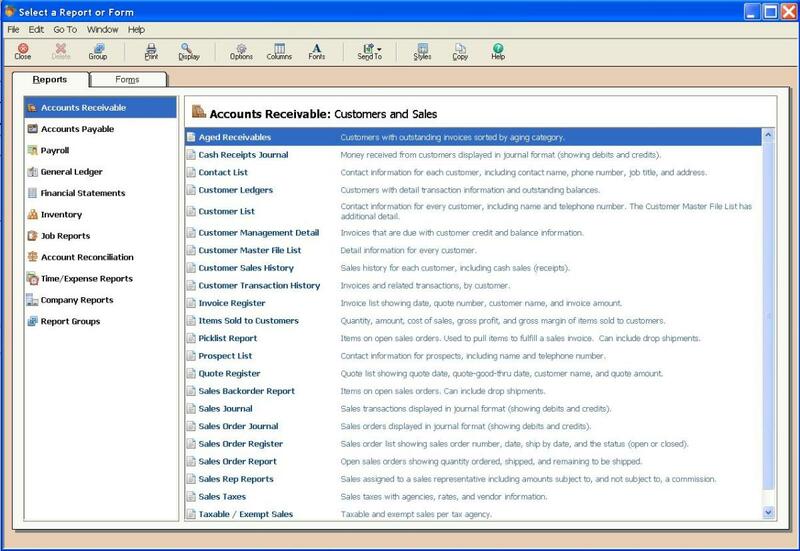 I recommend purchasing Peachtree to use as your accounting software. My wife and I use it for our small business and I use it professionally at the manufacturing company that I work for. Have you ever used Peachtree before? 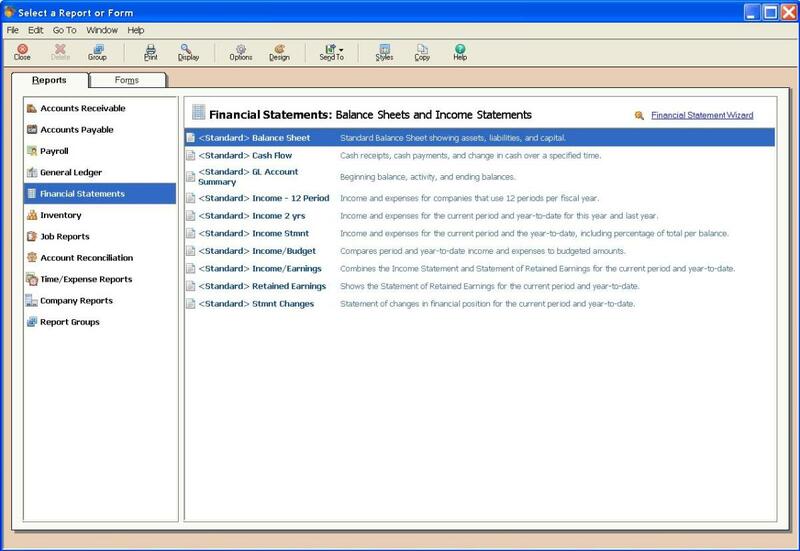 Peachtree accounting software was created by Sage Software. Sage has been around for over 30 years and is one of the top accounting software providers in the world. They are geared specifically at small businesses. Peachtree comes in five different versions: Pro, Complete, Premium, Quantum, and Accountant. Peachtree Pro is the base version that has basic functionality and is the cheapest. I use Peachtree Complete for our small business and it has more than enough functionality. Peachtree Premium adds additional functionality with advanced budgeting functionality and a few other tools. Peachtree Quantum is what we use at the manufacturing company to take care of our corporate books. We used to do it for one of our side businesses before it went out of business. 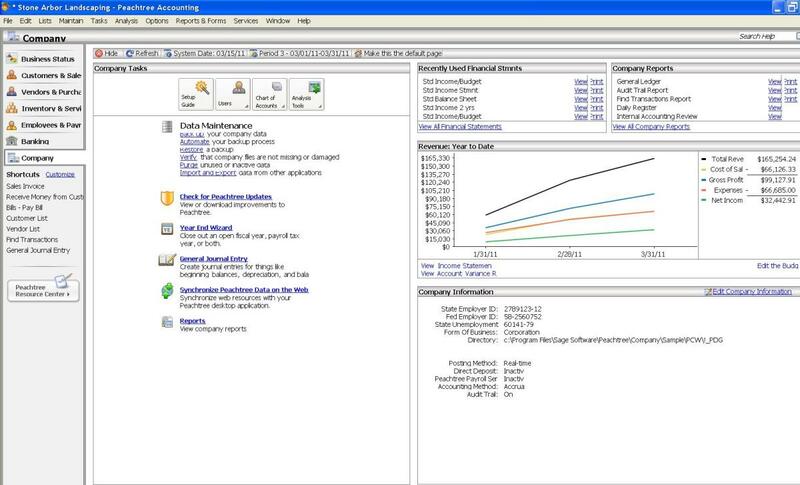 Quantum adds more functionality geared more towards accountants and larger businesses. 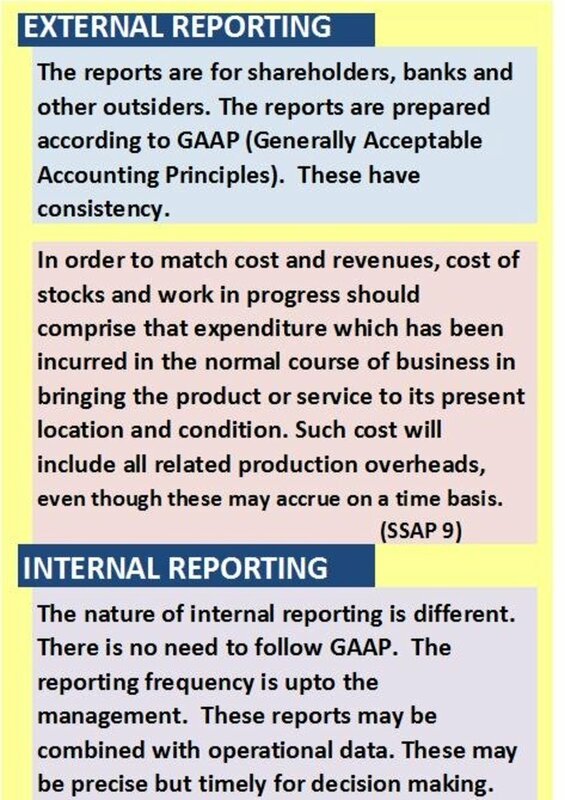 The Accountant version is more for CPAs. For most small businesses, you can easily get by with Pro, Complete, or Premium. 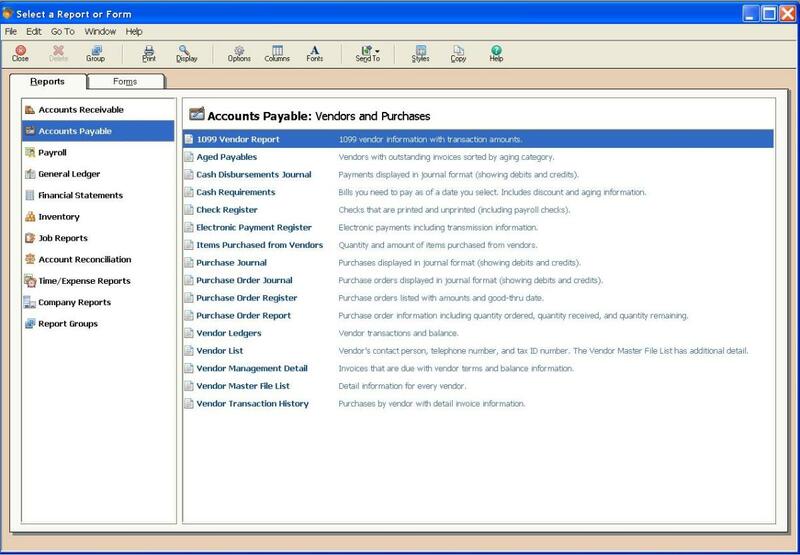 Peachtree is a great basic accounting software that offers several benefits. Let us explore each one and take a closer look. One of the great advantages of using Peachtree is that you can be up and running in under a half hour. You do not have to know much or anything about accounting to set it up. Follow the onscreen guide and it will take you step-by-step through the setup process that includes setting up all of the company information, customers, vendors, inventory or service items, employees, chart of general ledger accounts, and security. 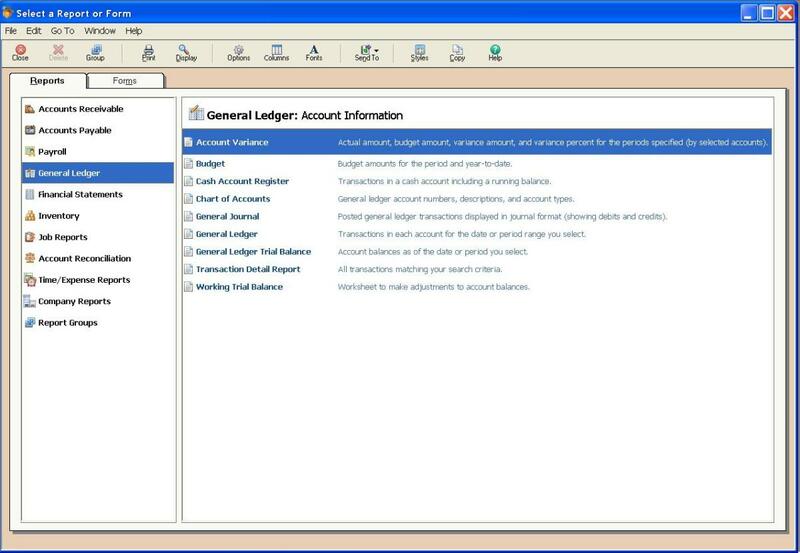 For the general ledger accounts, Peachtree offers you the ability to choose from preloaded accounts or you can setup your own. My advice is to only setup your own if you have a decent understanding of accounting. 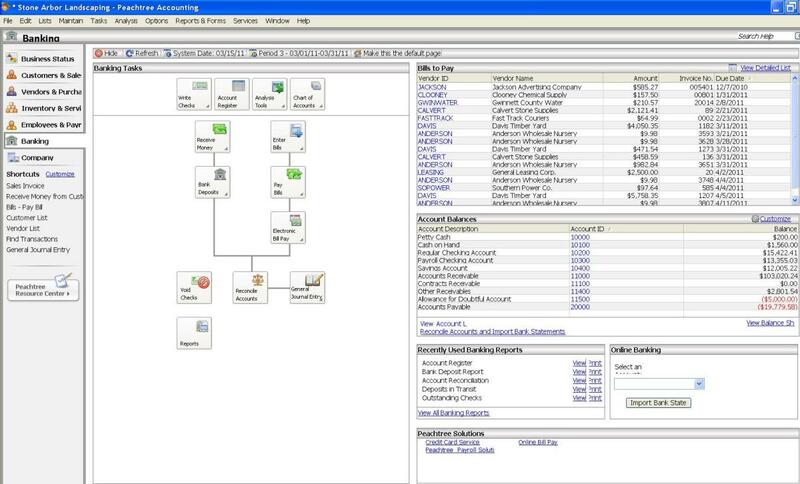 Peachtree is a fully functional accounting system. 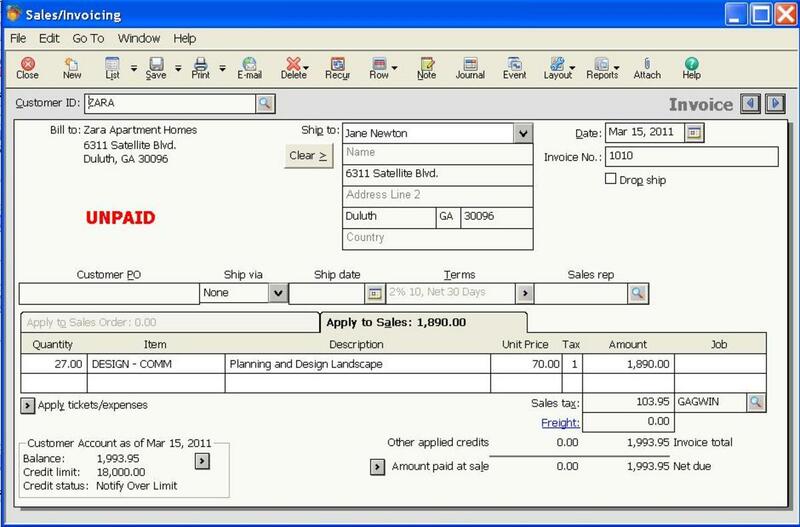 It allows you to issue invoices to your customers, receive payments, enter payables to your vendors, print checks, pay your employees, track expenses, enter journal entries, and much more. It is packed with all kinds of different preloaded reports. Peachtree also will perform an internal accounting review that will identify common transaction mistakes. Another great benefit of using Peachtree is that you do not need an accounting degree to use it. For most of the functions, it is as simple as finding the button on the screen and clicking on it, which will bring up the appropriate window where you can enter all of the information that you need to. If you are computer literate, you will be able to comfortably move around in a very short period of time. They also offer help on their website. One of the great and scary things of Peachtree is that depending on your security clearance, you can change anything that you want, which is great if you need to change something. However, if you change something in a prior period, it will change your financial results in that period. I have used several different accounting systems in my career; none have been easier to learn than Peachtree. Another advantage of using Peachtree is that it is a cost effective solution. Depending on the version that you purchase according to their website, you can expect to spend anywhere from a few hundred dollars to a few thousand dollars, which is very reasonable for the amount of functionality and reliability that you are getting. My advice is to check your local office supply chain store ads around the beginning of the year and you can get a much better deal on Peachtree. The first version that I purchased for our small business, I was able to get for free with a mail in rebate through Staples. The funny thing is that it was not the least functional version either. Another piece of advice is to not purchase supplies such as checks through Peachtree, instead purchase them from your local office supply store. 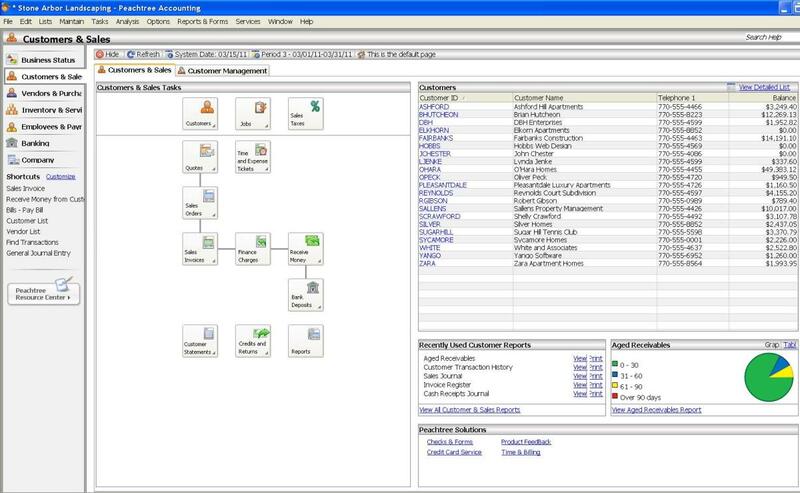 Peachtree comes loaded with a large amount of reports that are all customizable in some way. They all can either be printed to PDF or dropped directly into Microsoft Excel. Almost all of the reports on the screen have drill down capability that you give you more information on what makes up the number that you are looking at. Peachtree is a great system for people who are starting small businesses because it is easy to use, affordable, and has all of the functionality that you will need. 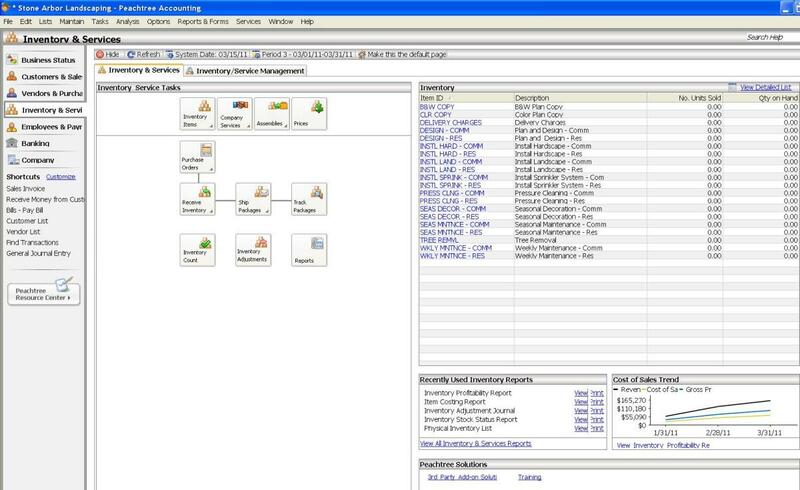 The only drawback is that Sage only supports their versions for a few years before retiring them. You can either purchase new software when that time is up or you can keep using your current version. 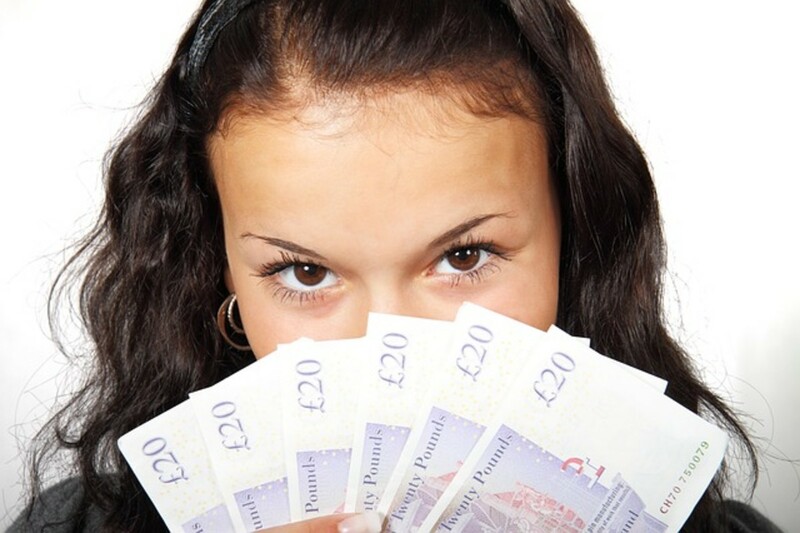 Does Your Small Business Meet Regulations? I have not used Peachtree. But I using Bearbuk last 6 month. 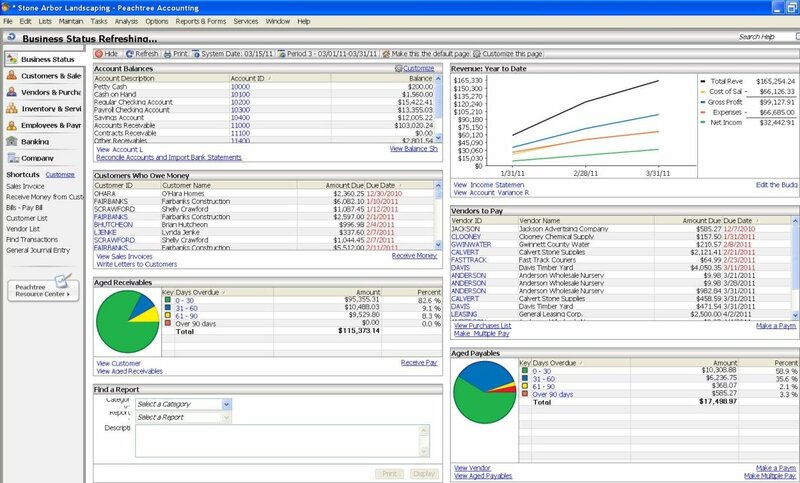 It is good online accounting software. They provide billing, multi-user, sales, inventory, expense tracking, reports and other features with GST accounting software. Peachtree has the following benefits 1.easy to set up 2.easier to use 3. Will grow and expand with the business 4. Report Capability 5. Functionality 6. Net working's Access to your information. It works well for small businesses. I have not really tried using the Peachtree software, but I see being used in small scale businesses. I might try to go look and see its adaptability to smale operations. Good luck! Peachtree is relatively easy to set up and even easier to use. Thanks! Peachtree is a great program for small businesses. Great overview! My experience with PeachTree is that it's very user-friendly, intuitive, and flexible. Thanks for a great hub.